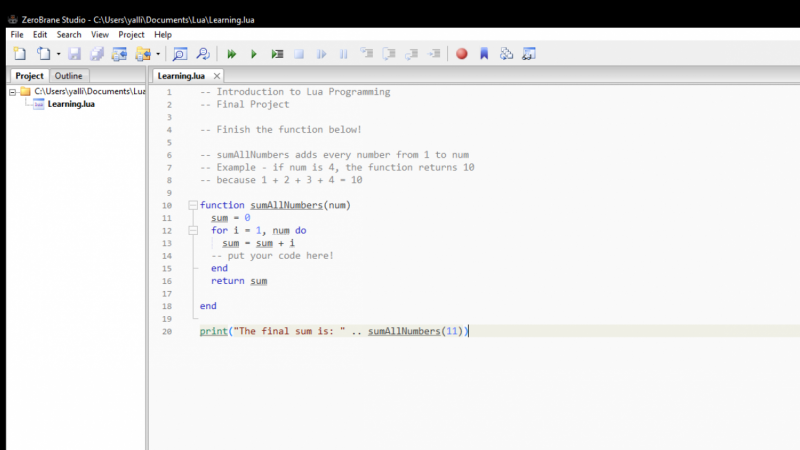 The course "Introduction to Lua Programming" provides everyone, even complete beginners, the tools they need to start coding. Lua is one of the most beginner-friendly languages, and it is used all throughout the software industry, from web applications to game development. Everything you need to get started is available in this class. 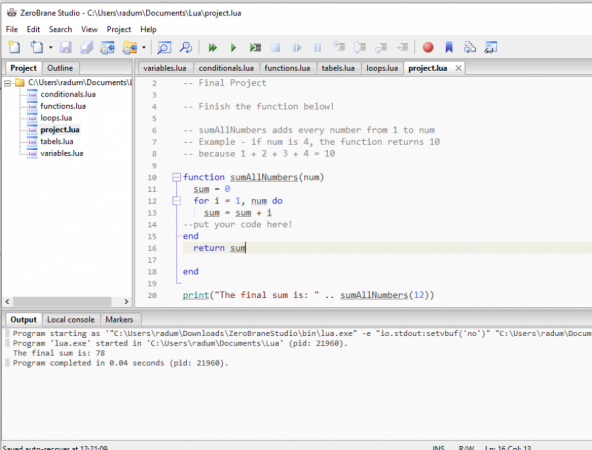 After all lessons are completed, a short project is assigned for students to apply what was learned and be creative with solving a real programming problem.